What does the Waco Chamber do? As the community champion and advocate for business, the Waco Chamber leverages the talents and resources of its member businesses to improve economic opportunities for you and our community. The Waco Chamber is a voluntary association of businesses, professionals and individuals working together to build a healthy business environment, promote economic development and work effectively to improve the quality of life in the Greater Waco area. Who leads the Waco Chamber? The membership provides the basic leadership of the Chamber. The Board of Directors is elected by the membership to determine policies, set goals and direction. The day-to-day operations of the Chamber are handled by a professional manager. The Waco Chamber has a paid manager who is hired by the Board and who has the title President/CEO. Currently, the paid staff of the Chamber includes 20 full-time and one-plus interns at any given time. How are you different from other business organizations? 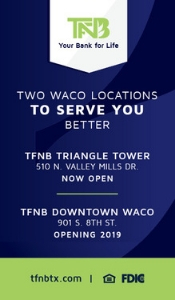 The Waco Chamber helps businesses by advocating, connecting and supporting growth in Waco. The Chamber has evolved to build a stronger community by involving our members in the top local business, civic and social priorities. 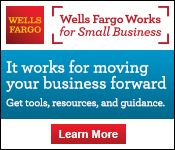 How does the Waco Chamber benefit my business? With unique leadership opportunities, connections to local business leaders and business-building initiatives, the Waco Chamber helps create a climate of growth and success in which all companies - regardless of size or industry - can prosper. The Waco Chamber attracts business leaders from a range of businesses. This critical advantage provides members with an opportunity to connect to vital economic and community issues beyond their organizations, and to volunteer with other leaders to make a positive impact on the local business environment. What major projects has the Waco Chamber worked on? Why should I join the Waco Chamber? Your membership connects you to important community issues and provides unique opportunities for individuals and businesses to make a difference. Who makes up the Waco Chamber membership? The Chamber consists of approximately 1,500+ members including many of the most successful businesses, both large and small, in the Waco area. Members range from recently organized start-ups to the most established nation-wide companies. Getting involved with the programs you care about connects you to the information and people that will unlock, clarify and increase the value of your membership. Search our online business directory by business category, keyword or company name, or you may call the Chamber at 254-757-5600. How are my dues used? Leadership opportunities, business-building initiatives focused on the critical priorities of the community, and a network of relevant tools and information are provided to respond to your most pressing business needs. Still have unanswered questions? Contact Felicia Taylor for more information at 254-757-5600.